Davey Lane’s Effervescing Elephants featuring special guest Robyn Hitchcock (UK’s The Soft Boys) take to Badlands Bar on Sunday, December 3 to perform a tribute to Syd Barrett, titled Pink Floyd – The Piper at the Gates of Dawn – A Syd Barrett Tribute. 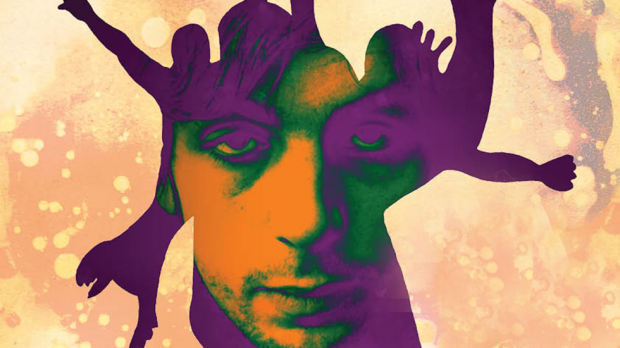 Syd Barrett was at the epicenter of London. The original leader of Pink Floyd flew headlong into a technicolour maelstrom from which he never really returned. From the The Scarecrow to Interstellar Overdrive, The Piper at the Gates of Dawn is one the great psychedelic albums. Arnold Layne, See Emily Play, Apples and Oranges and Vegetable Man are singles full of playful inventiveness. Recorded at Abbey with Beatles engineer Norman Smith, Pink Floyd captured the zeitgeist of the times perfectly. Davey Lane will present not only the kaleidoscopic grandeur of Pink Floyd’s early work but highlights from the spartan charm of Syd’s solo albums. The Effervescing Elephants are Davey Lane (Guitar/Vox), You Am I’s Rusty Hopkinson (Drums), The Gin Club’s Dan Mansfield (Keyboards), Even’s Ashley Naylor and very special guest Robyn Hitchcock (Guitar/Vox) and they promise an evening to delight in the quirky, often cinematic, yet sometimes guileless works of this charismatic, high priest of the psychedelic age. 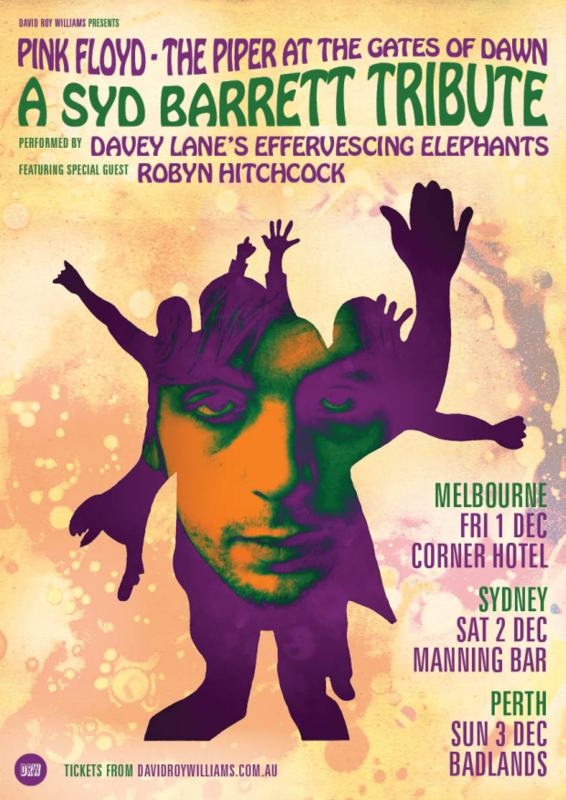 Pink Floyd – The Piper at the Gates of Dawn – A Syd Barrett Tribute featuring Davey Lane’s Effervescing Elephants and special guest Robyn Hitchcock plays Badlands Bar on Sunday, December 3.